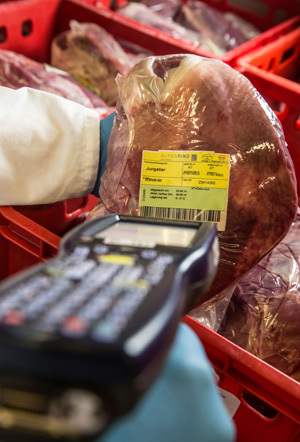 ALPENRIND ensures full traceability with proof of the origin of the meat – from delivery of the live cattle to shipping of products to a customer. A sophisticated recording and labeling system, which external control bodies continuously monitor, provides extensive information about each product and its properties at any time. This allows the beef to be traced throughout all stages of marketing and production. With voluntary participation in the “bos®” system, ALPENRIND Salzburg can affix information to the label exceeding legal requirements. The beef labeling system of AMA Marketing GesmbH is the most important voluntary labeling system for beef and veal in Austria. Independent inspection bodies monitor compliance with the requirements.